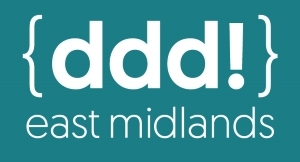 DDD East Midlands is an inclusive, not-for-profit technology conference that celebrates the unique tech, talent and companies that the East Midlands has to offer. This event is run by community members to promote collaboration and the amazing tech community that has already grown in the East Midlands. The event is hosted on a Saturday so that attendees do not have to take time from work. Tickets to attend the event are free. All talk submissions are anonymous. There is a democratic selection process for talks involving attendees voting for what they want to see. The event is arranged with the community in mind.